8 lessons (a’45 min)/group. Minimum group size on invoicing 10 persons. 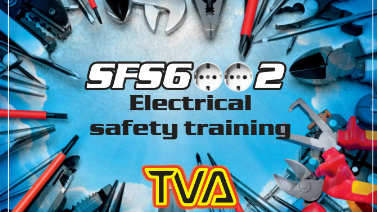 Training consists of the key elements of the standard SFS 6002 Safety at electrical work. In addition to the regulatory and legislation environment, the participants learn the hazards of electricity as well as the correct operational, working and maintenance procedures of electrical work. All the persons who perform electrical work must pass electrical safety training according to the standard SFS 6002 at least once in every five years. Training is legally obligatory for electricians and their foremen. Training is valid for 5 years. SFS 6002 also requires First Aid preparedness. 3 ways we can organise you this training. 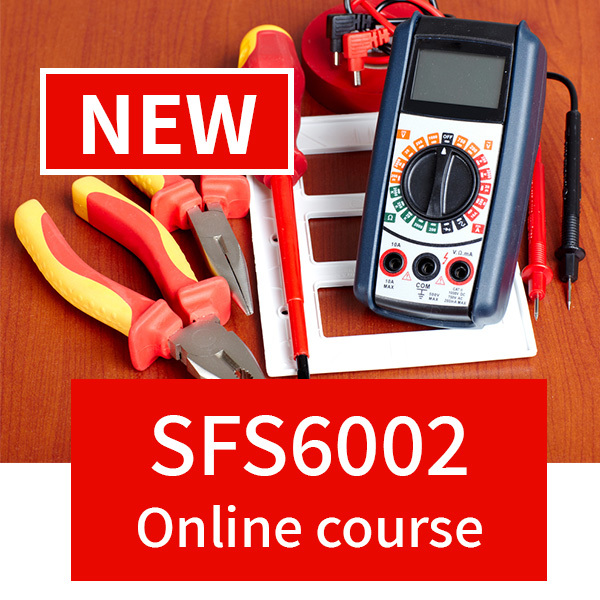 SFS 6002 electrical safety training is also available as online course.